Children are afforded an enriching experience with a play-based education aimed at stimulating overall development. Brookville Center operates high staff to student ratios with all staff members being certified or licensed in their professional areas. 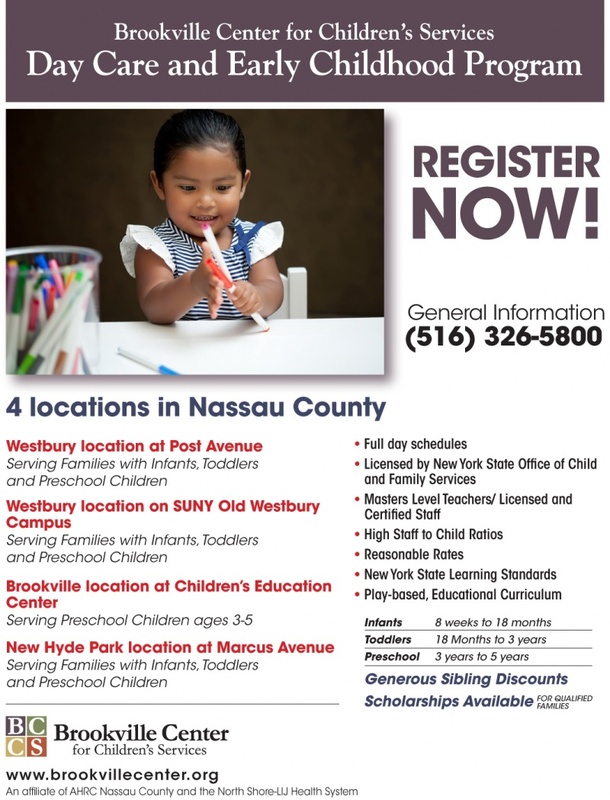 Programs are approved and licensed by the New York State Education Department, as well as the New York Department of Health and the Office of Children and Family Services. Call for more information, including rates and tours.